Birmingham Michigan is located north of Detroit between Detroit and Pontiac. It is bordered by Bloomfield Hills, Bloomfield Township, Beverly Hills, Royal Oak, and Troy. Birmingham is home of the famous Woodward Dream Cruise. This event has morphed into one of the largest attractions in the area and has been taking place for over 20 years. It attracts car enthusiasts from all over the country who come to view and show off their classic cars by cruising up and down Woodward Avenue for an entire weekend. Over one million people show up each day to view this spectacular display of automobiles. Birmingham is also known for having one of the most premier and exclusive shopping districts. It is comprised of approximately 300 retailers, offering an extraordinary mix of boutique shops, trendy restaurants, high -end salons, spas, gift stores, art galleries and antique shops. They are also home to quite a music scene, hosting their own symphony orchestra – The Birmingham Bloomfield Symphony Orchestra, The Birmingham concert Band, and the Birmingham Musical Choral Ensemble. One can take a stroll through the streets taking in a concert in the park, visiting the farmer’s market or browsing one of the galleries; then of course, finishing by stopping in one of their fantastic eateries. To learn more about the area, please visit the City of Birmingham website here. The above photo features a large Birmingham style kitchen remodel of ours. 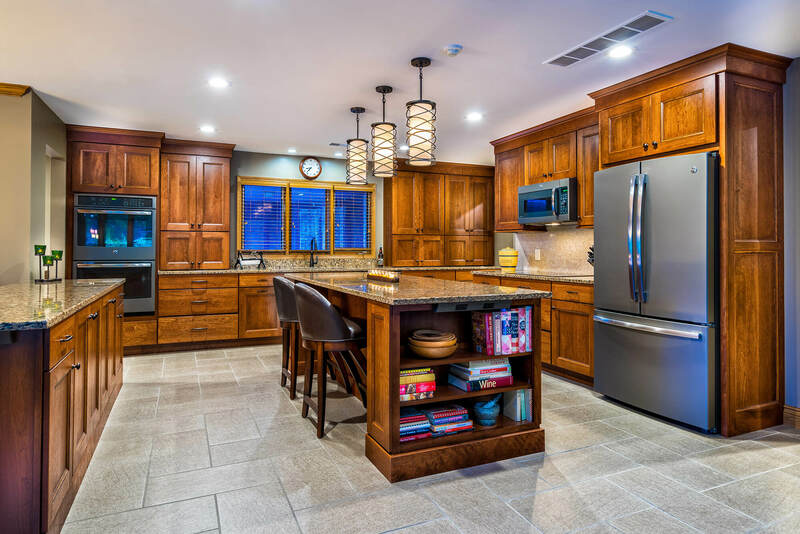 The Cherry Bishop cabinets and the Cambria Canterbury Quartz countertops really work well together and make the space pop. 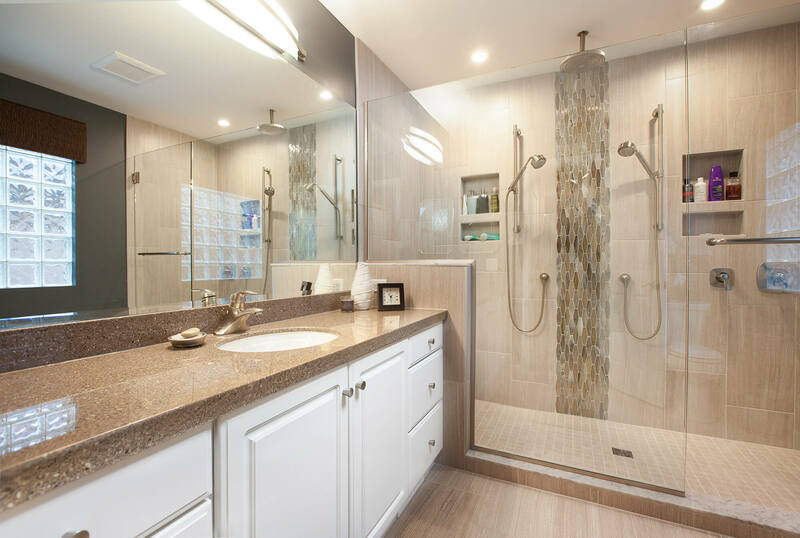 The next photo is of a Birmingham style master bathroom remodel where we rearranged the bathroom, built a two-person shower, and installed new tile flooring. The bathroom is almost unrecognizable from what it used to look like. 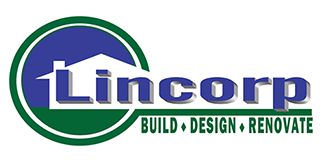 Contact us to learn more about our remodeling process and how we can help you with your remodeling project.